A £30m office scheme is the third plot to be announced by the practice as well as coordinating the wider site regeneration. This innovative approach has been recognised with the award for Most Innovative Contribution to Business-University Collaboration, sponsored by the National Centre for Universities and Business. The award is presented to the business that demonstrates the most imaginative and effective ‘game-changing’ partnership with an institution which has led to significant long-term benefits to the business, the university and the economy. The new partners have been appointed to continue to build on the growing expertise of Ryder across an increasingly diverse sector and geographic base. Peter Barker, Gareth Callen, Andrew Costa, Richard Dorkin and Ronnie Graham have all been promoted and join senior partner Peter Buchan, managing partner Mark Thompson and current partners Ian Kennedy, Gordon Murray and Richard Wise as part of the leadership team who will take Ryder through the next phase of the practice’s evolution. Gareth Callen leads the Liverpool team and is also responsible for Ryder’s science portfolio which includes Liverpool Science Park, Thames Valley Science Park, Science Central in Newcastle and Hong Kong University of Science and Technology. 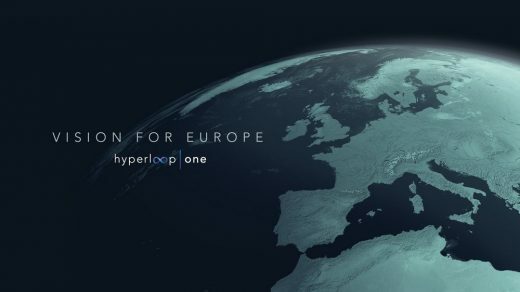 The Northern Arc proposal was revealed as one of nine shortlisted routes spanning the continent as part of Hyperloop One’s global challenge, at it’s Vision for Europe summit held at in Amsterdam. The architecture practice was ranked tenth place in the Sunday Times 100 Best Small Companies to Work For at the awards ceremony held at Battersea Evolution. Best Companies received entries from over 400 small companies across the UK and over 4.5m employees were surveyed to gain scores across leadership, engagement, wellbeing and benefits. 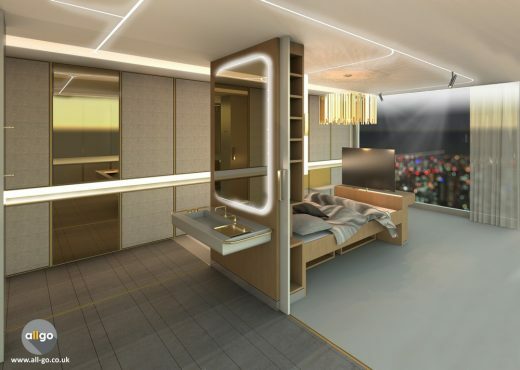 Held at the Palace of Westminster, the international competition to design an accessible hotel room of the future was run in association with the Royal Institute of British Architects (RIBA) and Bespoke Hotels. The competition attracted entries from around the world including Germany, Russia, Hong Kong and Canada. Entrants competed across a range of categories, including Product and Service Design, as well as the Celia Thomas Prize, worth £20,000 – believed to be the largest cash prize in the UK for a design concept. 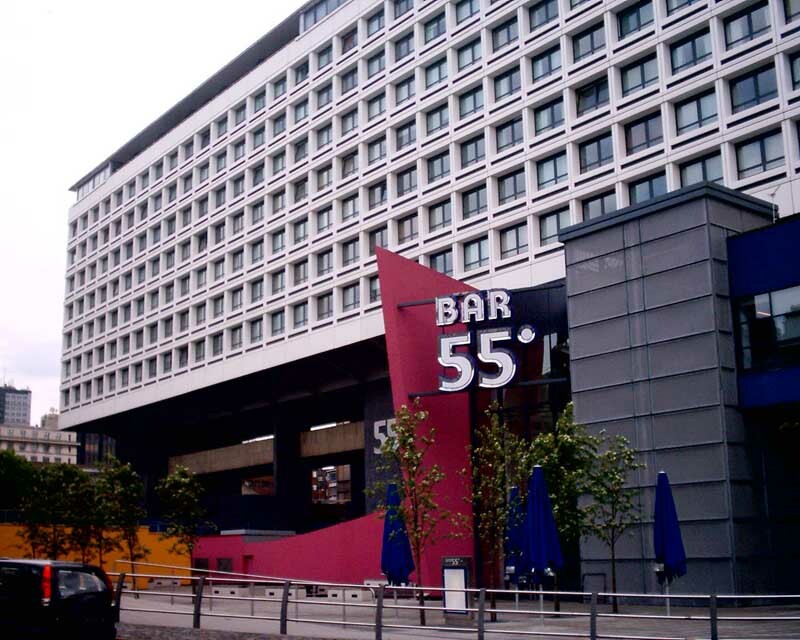 Specialist accessible design company, Motionspot and international design practice, Ryder Architecture’s collaborative winning entry – AllGo, is a unique, universal approach to hotel room design to ensure that all rooms are functional, flexible, accessible and beautiful in their design. AllGo will deliver personalised, accessible hotel rooms across the world, removing the barriers to travel and creating truly inclusive environments for guests. Each room can be adapted to the needs of the user through integrated and flexible design features that can be modified before the arrival of the guest. Motionspot and Ryder will now look to realise the design concepts and aim to roll out pilot rooms in the coming year. 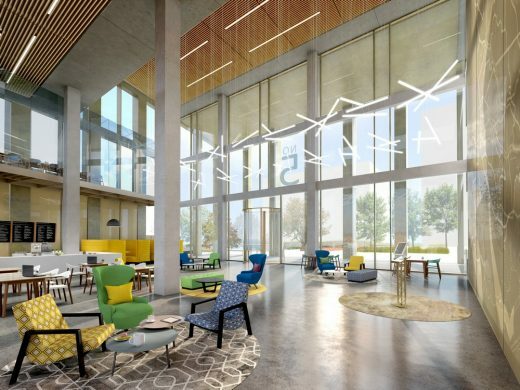 It is hoped this will act as a catalyst illustrating the potential of a hotel environment, delivering beautiful, functional and fully accessible rooms. 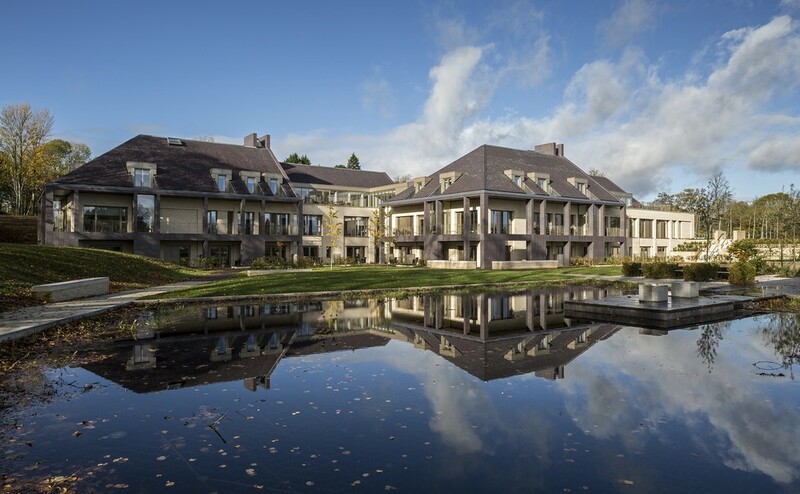 The entries were judged by a panel which included Paralympic gold medallist Baroness Tanni Grey-Thompson, Stirling Prize winning architect Alan Stanton, and Baroness Celia Thomas herself, gathered in the Autumn to assess the submissions. Ed Warner established Motionspot after co founder James Taylor was paralysed in a diving accident in 2005 and returned home to find his adapted flat full of white plastic grab rails, shower seats, vinyl flooring and other products that were so synonymous with ageing and disability. Motionspot provides an alternative and designs environments and supplies products that deliver the necessary access for users without compromising on design. 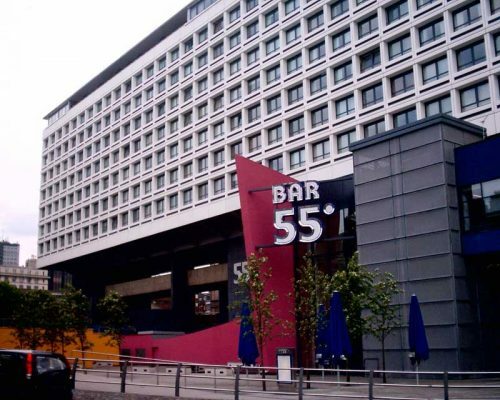 As well as supplying bathrooms to the residential market, Motionspot is a leading provider of accessible bathrooms and washrooms to hotel & leisure, retirement and care clients across the UK. 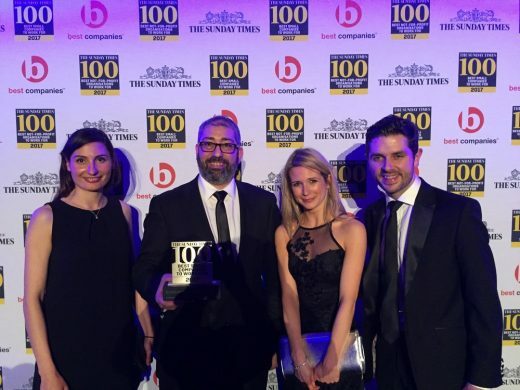 For the second year running Ryder Architecture has made The Sunday Times 100 Best Companies to Work For. 4 Mar 2014 – This year Ryder is the highest placed UK architect in the prestigious best small companies list. Nearly 900 organisations entered the awards and the opinions of 250,000 employees were canvassed, making it the largest survey of workplace engagement in the UK. Key indicators include leadership, management, colleagues, pay, training, wellbeing and CSR. With offices in Glasgow, Liverpool, London and Newcastle – where the company was founded in 1953 – the ethos of creating talented multi disciplinary teams fostered by the founders Gordon Ryder and Peter Yates clearly remains to this day. Now a 120 strong practice, Ryder has also been shortlisted for Building magazine’s Architectural Practice of the Year award. 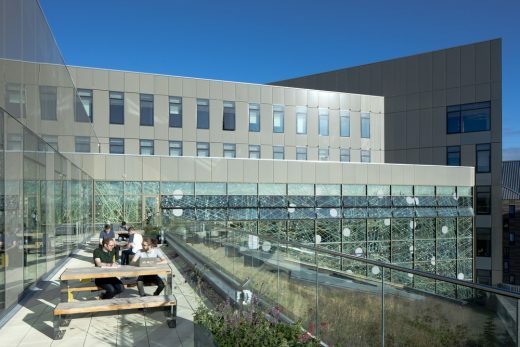 Its iconic £82m anti crime centre near Glasgow (Scottish Crime Campus) is nominated for a BCO award and it has recently been appointed for a major office project in Greater Manchester. 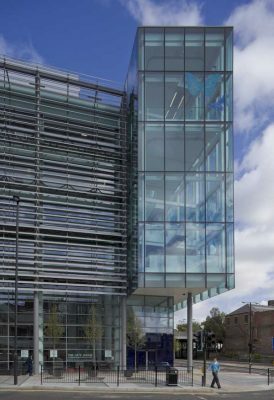 With the completion of the base of the building, the Ryder-designed £11.2m 4,518 sqm, new Police Scotland facility at Kitty Brewster is progressing towards its planned handover early in 2014. The facility, designed and built through the public and private partnership hub North Scotland, will comprise a state of the art 60 cell custody facility, a virtual court, an identity parade suite, a community policing team and supporting office accommodation. 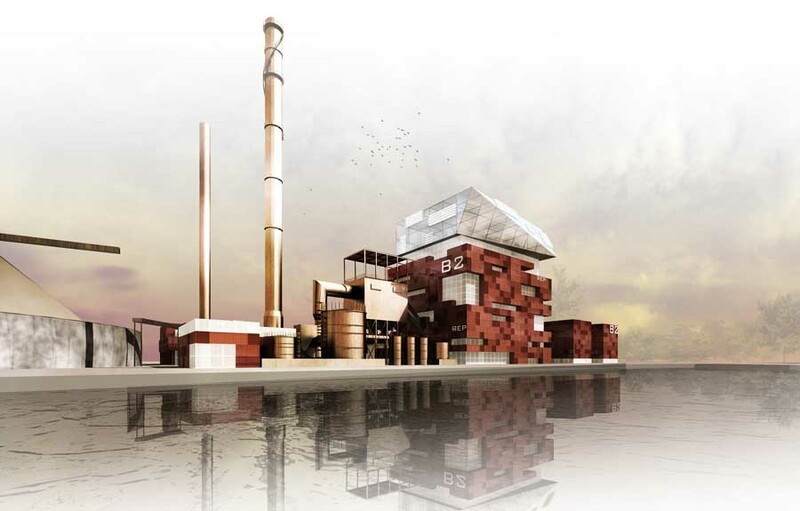 19 June 2013 – Forth Energy have secured Section 36 consent for the largest biomass plant in Scotland. The design by Ryder Architecture “draws heavily on the Port of Grangemouth’s position as Scotland’s largest container terminal, using the size and shape of cargo container as the basic building block of the new plant”. 10 June 2013 – Ryder Architecture continues to celebrate its 60th birthday year with the successful launch of a Ryder retrospective exhibition at the Building Centre. The launch event on 6th June was a relaxed and lively evening, attended by senior figures from all areas of the built environment industry. Nearly 450 firms registered in the survey and the views of more than 28,000 individual employees were gathered, measuring success on key indicators including leadership, management, colleagues, pay, training, wellbeing and giving something back. Ryder scored best out of the new entrants for personal growth, with a positive score of 86%, figuring in the top ten. Training also scored impressively and 84% of staff indicated it is of great personal benefit, while 92% said their job experience is of value to their future development. Employees also said the company makes a positive difference to the environment. 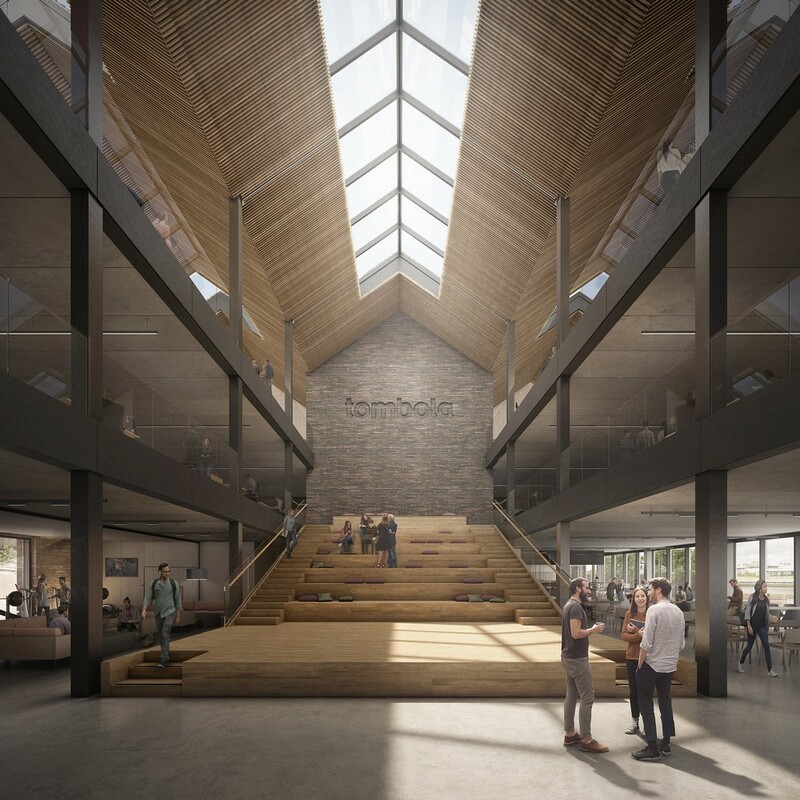 Maggie Barlow, Ryder Architecture consultancy director, said: “The integration of new information technology has become a catalyst that has transformed the library into a more vital and critical intellectual centre of life in our cities, schools, colleges and universities. Where institutions have worked in partnership with architects, planners and stakeholders usage has in fact increased despite predictions. 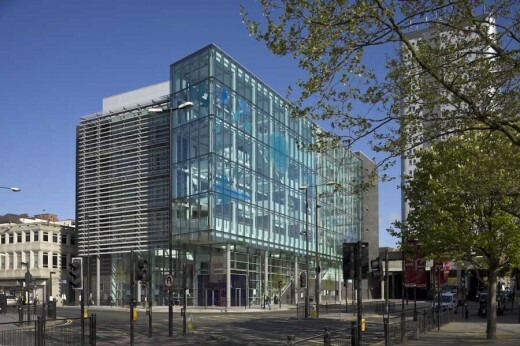 Ryder Architecture has won planning approval for the next phase of Liverpool Science Park on a site adjacent to the Metropolitan Cathedral of Christ the King. 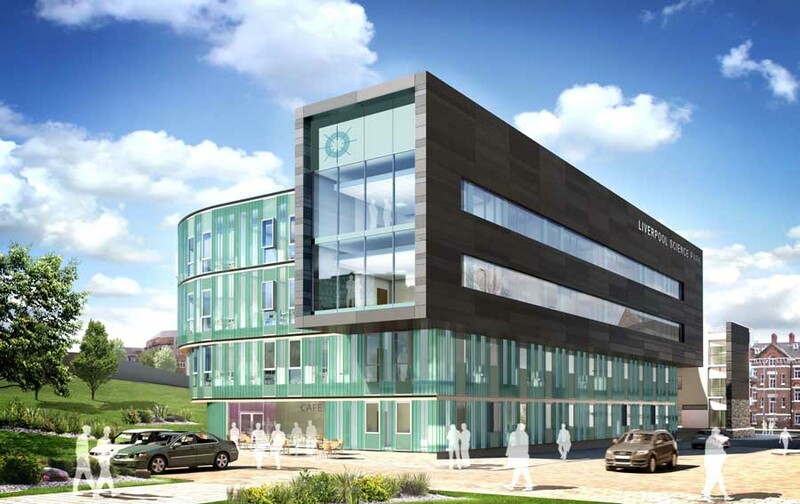 Innovation Centre 3 – ic3 – will provide 3,750 sqm of fully serviced office and laboratory facilities over four floors with meeting rooms and a ground floor café. Gareth Callen, project architect for Ryder Architecture said: “The building will form a focus for the science park community, maximising views to and through. Newcastle’s new City Library opens its doors to the public on 7 June 2009. 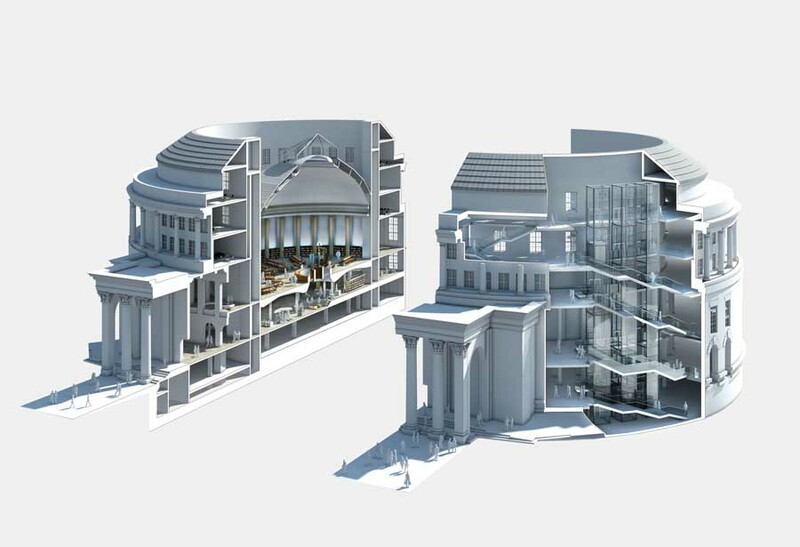 One of the largest public libraries in the UK, the £24m building designed by Ryder Architecture, will offer 21st century facilities combined with inspirational places for reading, learning, researching, relaxing, meeting and working. The design vision of Ryder Architecture was to deliver an inviting, accessible and open library to inspire local, civic and regional pride. Ryder is a UK architectural practice with architects offices in Glasgow, Liverpool, London and Newcastle. The practice employs 140 people and is working on major commercial, education, healthcare and masterplanning projects across the country. Ryder founding partners Gordon Ryder and Peter Yates, who worked with Le Corbusier and Lubetkin, established their architects practice in 1950. Peter Buchan and Mark Thompson took over leadership of the firm in 1994. Established in 1953, multi award winning practice Ryder Architecture operates from offices in Glasgow, Liverpool, London and Newcastle has an annual turnover of £7 million and employs 100 staff. 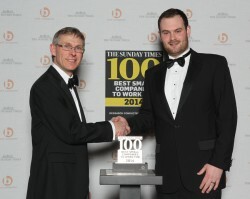 Ryder has also achieved Sunday Times 100 Best Companies to Work For, 2013. 2013 marks 60 years in practice – an important milestone in Ryder’s development. A series of events is planned which began with the launch of a retrospective which took place at RIBA HQ Portland Place in London in January. A diverse programme of research papers, debates and seminars will take place at various venues throughout the UK, focusing around a touring exhibition reviewing Ryder’s projects and looking forward to the hopes and challenges of the next 60 years. Ryder has established a number of key partnerships and collaborations to strengthen and focus its offer, including TFP|Ryder, the collaboration in China and Hong Kong with Farrell’s. With an enviable portfolio of clients and projects, the practice operates globally across a wide range of sectors including education, healthcare, industrial, infrastructure, leisure, office, community, residential and science. Ryder continues to pioneer the adoption of Building Information Modelling (BIM), having established BIM Academy, a unique collaboration between the private sector and academia which provides training, consultancy and research and development to the international construction sector. Multi award winning practice Ryder Architecture operates from offices in Glasgow, Liverpool, London and Newcastle. 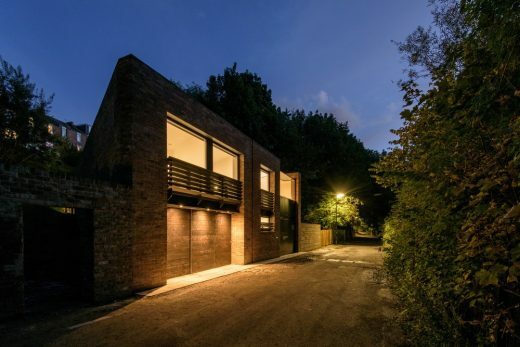 With an annual turnover of £7m and employing 120 staff, the practice was shortlisted for Architectural Practice of the Year, 2014 Building Awards. It also plays an important part in giving back to its local community groups, schools and charities. April 9, 2019 in Architects.